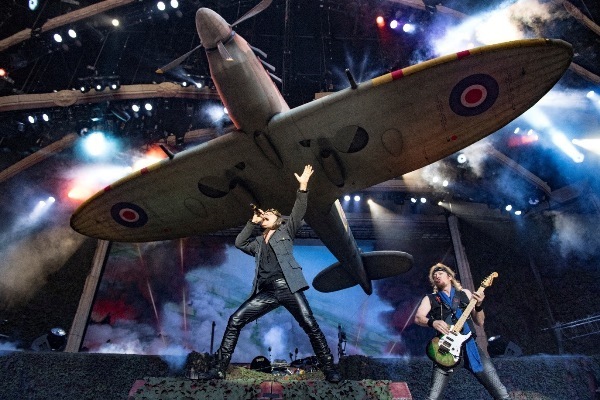 Iron Maiden will bring a famous World War II aircraft home when they perform in Birmingham on August 7, 2018. 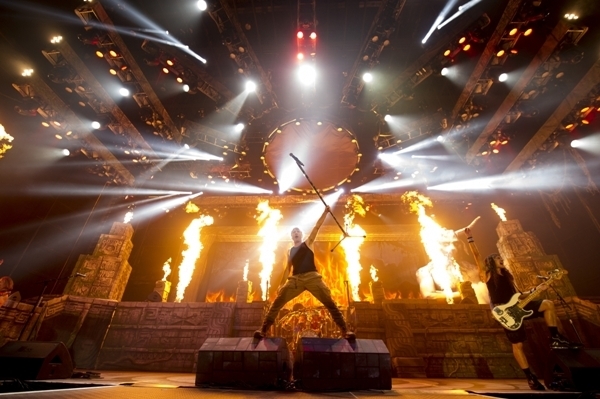 The Heavy Metal rockers are opening their current Legacy of the Beast tour with the song Aces High – with a near-full size Supermarine Spitfire buzzing around above the stage. The iconic plane was originally built during the war at the Castle Bromwich Aircraft Factory, just a few miles from the modern day Genting Arena where Iron Maiden will be in concert. The band's plane is a 90 per cent sized replica of an actual Supermarine Spitfire Mk Vb, registration number AA 853 from 302 Squadron that saw active duty in 1941. Since the tour's opening night in Tallinn, Estonia, at the end of May, the band has played to around 750,000 fans in sold-out stadium, arena and festival shows across Europe, including selling out the prestigious Atletico Madrid football stadium in Spain. The Spitfire is not the only show-stopping effect in the theatrical performance – the band race through a spectacular two hours of music, pyrotechnics, special effects and ever-evolving stage sets, including new incarnations of mascot Eddie. The concept for the tour was inspired by Maiden's mobile game and comic book of the same name, and the stage set design features a number of different but interlocking "worlds". The set list covers a large selection of '80s material, with a handful of surprises from later albums to add diversity. Maiden manager Rod Smallwood explains: "As our fans know, we've been following a particular touring cycle ever since Bruce Dickinson and Adrian Smith re-joined Maiden at the start of the millennium, alternating new album tours with 'History/Hits' tours. We enjoy working this way for many reasons, not least because it gives the band a chance to play both new material and the older favourites that we know fans like to hear. It keeps things fresh, not just for the fans but for the band too. 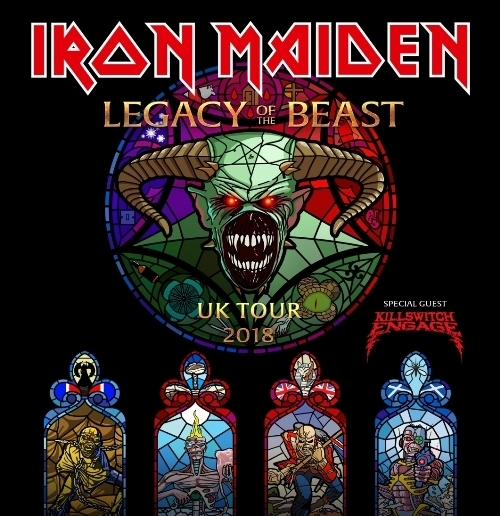 "For this History/Hits tour we decided to base the theme around the Legacy Of The Beast name, which suits our purposes perfectly by giving us scope to get creative and have some fun, especially with Eddie!" The UK leg of the tour starts at Newcastle's Metro Radio Arena on July 31. Special guests at all shows are Killswitch Engage. Aug 10 & 11: 02 Arena, London.